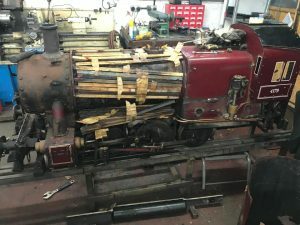 Another steam locomotive has joined the fleet for this summer. Pilgrim is an 0-6-0 tank engine originally built by David King in 1982. 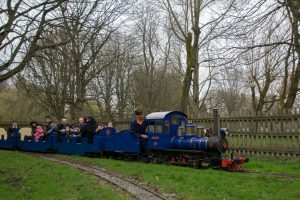 Commissioned brand new for the Wells and Walsingham Railway in Norfolk, she later spent many years on a touring portable railway, before ending up at the Knebworth Park Railway on the other side of Hertfordshire. 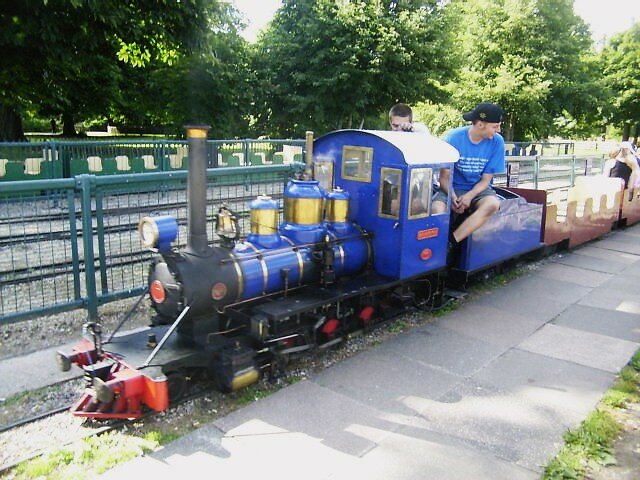 After a comprehensive overhaul in 2013/14, she was placed back on loan to the Wells Railway. However she has now moved to join us to help celebrate our 60th anniversary. 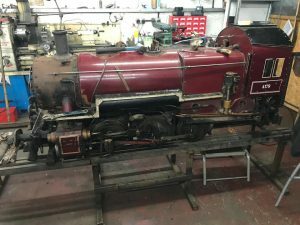 Pilgrim requires a boiler test (in layman’s terms, a steam engine MOT) and air brakes fitting before she can haul our trains, but we hope to have this work finished in time for our 60th Anniversary Weekend on the 27th & 28th April. 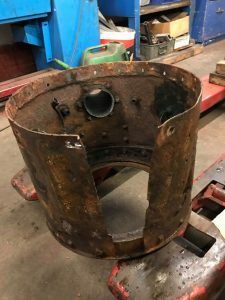 The boiler has now been removed from the frames and thickness testing carried out on all of the platework. 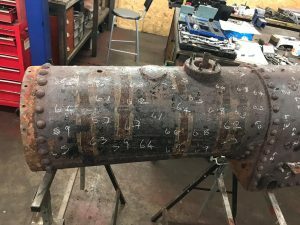 This reveals things to be in remarkably good condition considering the loco has been stood unused in the damp and cold for ten years still wearing its cladding. 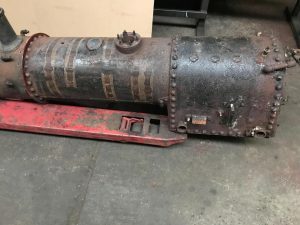 The exception is the smokebox which, as expected, is totally shot (though the chimney and door are salvageable), and the two bosses (washout plugs) on the bottom of the barrel which are rusted through will have to be replaced. 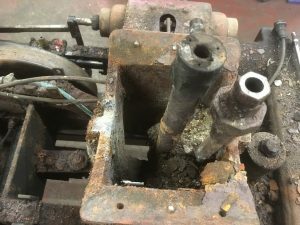 Though the news is generally good so far, a hydraulic test will need to be undertaken once the bosses are replaced to determine whether there are any hidden gremlins such as cracks in the front tubeplate. 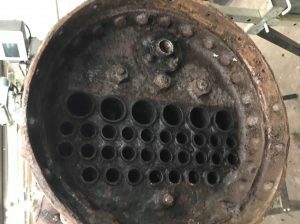 All being well, and subject to independent boiler assurance, we may be able to leave the copper tubes undisturbed. Readers may be interested to note that the boiler, a ‘Goodhand’ design, is round-topped – this was a surprise to me as the cladding has been designed to imitate the Belpaire fireboxes (square-topped) of the Pennsylvania switchers on which the model is apparently quite faithfully based (when I find out exactly what class of loco it was based on, I will let you know!). 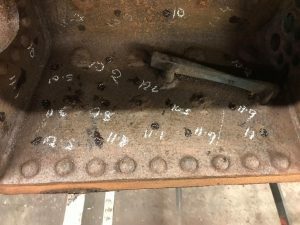 On the chassis side, strip-down of the cylinders and valve chests has revealed that slide valves are worn and need replacing, and new pistons and rings are required, but hopefully reboring can be avoided. Since these photos were taken everything has been utterly blasted with a pressure hose or so I’m told! 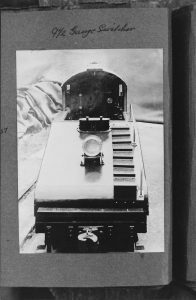 Finally some pictures of what she looked like when built as a 9.5″ gauge engine by Mr R. Morse of Hendon (1947). This is turning out to be quite a fascinating little journey of engineering archaeology! 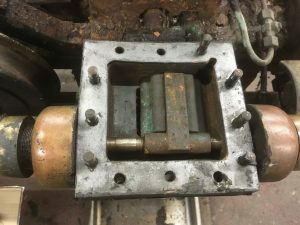 The Historic Steam locomotive ‘Chiltern Shuttle’ will be returning home to Watford following completion of a thorough overhaul to working order. Built by R.H. Morse in the 1940s, Chiltern Shuttle has been based at Watford since the early 1980s. 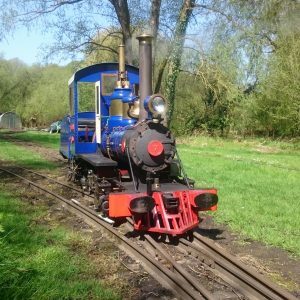 When the railway was sold to new owners in 2017 she was not included in the sale, but she has now been bought by two of our occasional drivers, David and Yvette Horton. 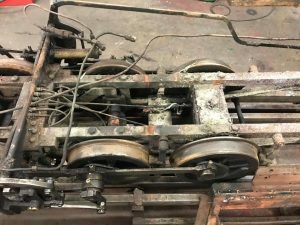 In November Chiltern Shuttle arrived with Denver Light Railway, the specialist engineering firm who helped put Marri back into working order earlier this year. 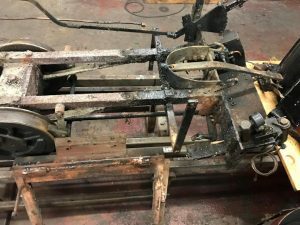 She has now been stripped down into parts, ready to assess exactly what work is required to put her back into working order. 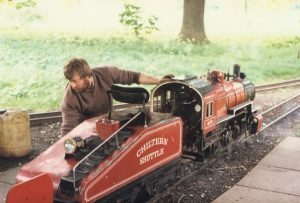 After many years of use there will be quite a few parts which need attention, so we can’t say yet when Chiltern Shuttle will be back home, but we hope it will be in the next 2-3 years. 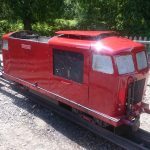 Although privately owned she will live at Watford and be used on some trains all year round, as well as occasionally visiting other railways as our roving mascot! We will be open our normal practice of ‘Weekends and School Holidays’ all year until the end of November. However, we will also be open daily from April through until September; we trialled weekday trains in June and September in 2018, these proved popular so we are extending weekday running right through May as well. The railway celebrates it’s 60th birthday in 2019 and we are planning a celebration weekend on the 27th & 28th April; expect to see all our engines running plus some guest engines for the weekend. 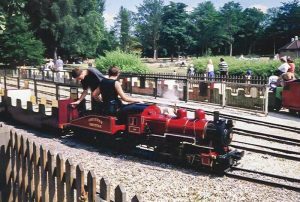 There will also be an exhibition showing the history of the railway as it developed over the past 60 years, plus the pioneering history of miniature railways in Watford – did you know the first miniature railway opened to the public was just up the road in Bricket Wood? 60th Birthday in 2019 – Can You Help us Celebrate? 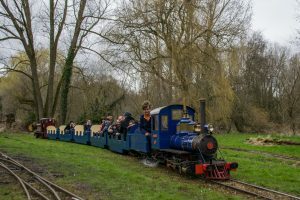 Watford’s Cassiobury Park has long been popular, its recent national awards proving how special it is. 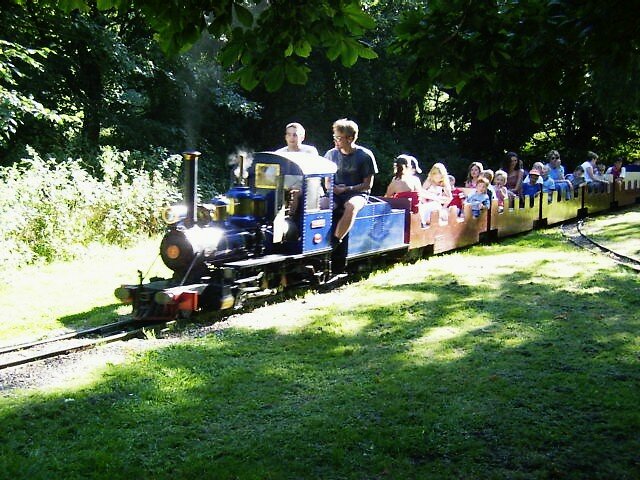 One of its main attractions is the miniature railway, loved by young and old, and about to commemorate sixty years serving the public. To mark this anniversary there is to be a public exhibition and a commemorative booklet presenting the railway’s history. However, we would like your help. 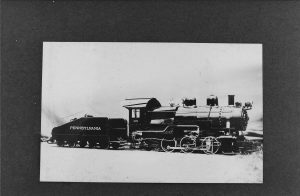 Do you have any old photographs of the railway? Do you have any stories or reminiscences of your time on it? We want to include the cultural impact of the line; what it means to those living around Watford and the many users of Cassiobury Park over the years. The railway has long been thought of fondly, and your input is vital to the success of this special anniversary year. If you would like to get in touch, please do email on watford@minirail.co.uk – it will be greatly appreciated. We are having a little bit of an experiment this September and adding some extra opening days! In addition to our previously advertised opening at weekends, we will be open all weekdays in September 12pm – 4pm. All dates are subject to weather and mechanical availability. Please check our Facebook page for any updates. The steam locomotive Marri has returned back to the WMR after a 15 year absence. Marri landed in the park on Tuesday 3rd April. 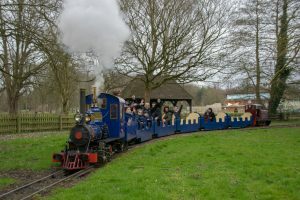 Once steam was raised and a few test runs had been completed, she pulled her first passenger train at the end of the day. 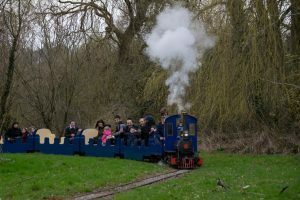 Her first full day in service, Sunday 8th April, was rather damp, but still many people came out to enjoy a steam train ride through the park for the first time in a decade! Marri will now be running most Sundays, Bank Holidays and some weekdays during the peak summer period. Full details of her planned running dates can be found here. 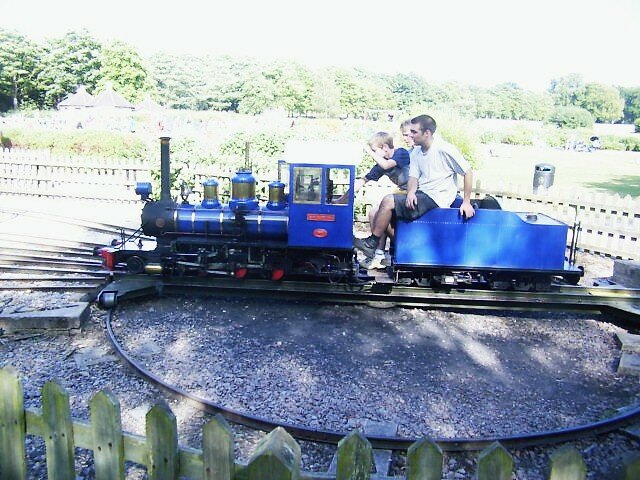 We are very pleased to announce that steam trains will be returning to the WMR this summer. 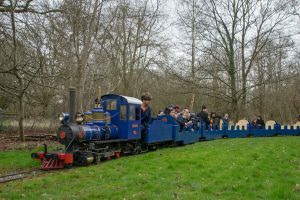 The steam locomotive ‘Marri’ was a regular sight in Cassiobury Park during the 1990s and early 2000s, until she was withdrawn for an overhaul at the end of 2003. 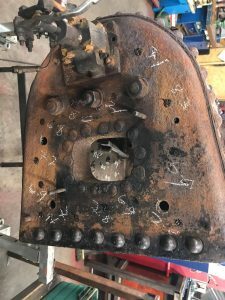 Unfortunately this overhaul took much longer than expected, and Marri has now spent over a decade in pieces. 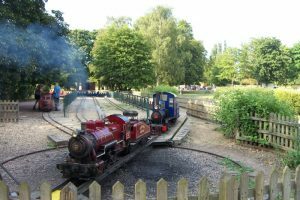 When the railway was sold to new owners in 2017 Marri was not included in the sale, but we have now reached an agreement which will see her return to the park. Marri was built by Willis Light Engineering of Perth, Australia in 1993. Specially commissioned for the WMR, she was flown over from Australia in the hold of a jumbo jet, and ran for the first time at Watford the same day she landed at Heathrow! Marri has only ever run at Watford, so it is very pleasing to be able to bring her back home. We will now be working to reassemble Marri and plan to have her in service for the summer. A return date will not be known until the work is nearing completion, but we will publish it as soon as it is known!